This week I wanted to share some of my favorite jazz documentaries, as well as the lessons I learned from each of them in order to illustrate the humanity behind each musician. I don't think I have been impacted by a documentary as much as Keep On Keepin' On. 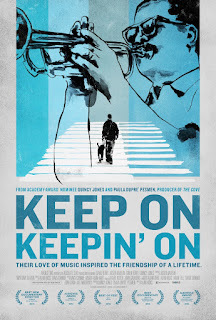 The story of this movie does not dwell on trumpeter Clark Terrry's accomplishments, but rather illustrates his mentorship with young pianist Justin Kauflin. What touched me was the fact that even though Clark Terry was one of the true greats - he played with Count Basie, Duke Ellington, Quincy Jones and the NBC Tonight Show band, among others - he still took the time out of his day to mentor youth - from elementary school students to young adults like Justin. The movie really shows you the strength of Clark Terry's heart, and inspired me to strive to be a kinder person. One small fact that I wanted to share from the extras of the movie was that when Clark was on tour he would carry his trumpet, his suitcase and a pack of stationary to mail postcards to all his students to encourage them to continue with their dreams, saying "Keep on keeping on." 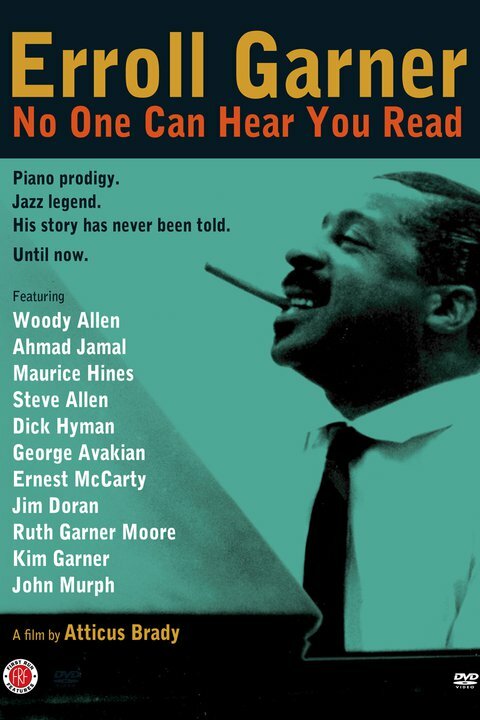 Pianist Erroll Garner was a true genius. Largely self-taught, Garner's individual piano style has influenced many generations of audiences and musicians alike. What really surprised me was to learn of Garner's international status, and how he played on the Johnny Carson show multiple times, a feat for any musician. The movie also goes into the history of Garner's famous album, Concert By The Sea, initially a concert Garner played for servicemen. Above of all this, I think what I took away most was the complete joy Erroll Garner had for music - from the second he touches the piano any worries you have disappear due to his sheer magnetic charisma. Vocalist Sarah Vaughan is considered one of the greatest jazz vocalists of all time. From winning talent contests to international fame, this documentary tracks Vaughan's rise with a great blend of performance clips and input of such contemporaries as Billy Eckstine and Roy Haynes. What surprised me to learn was that Vaughan was known to be quite shy in person, contrasting her exuberant stage presence. What I took away from this documentary was the strong-willed demeanor Vaughan encapsulated in the way she carried herself. Clarinetist-bandleader Benny Goodman is highly regarded as the "King of Swing." Along with this title, is the fact that he broke barriers in jazz: he led the first integrated band when he hired pianist Teddy Wilson, he was one of the first jazz musicians to play at Carnegie Hall and he commissioned classical pieces from Bartok and Copland, among others. Perhaps the most awe-inspiring thing to see was Benny Goodman's work ethic: Goodman was known to spend every waking moment playing the clarinet and refining his musicianship - even to the point of alienating people. Pianist-composer Count Basie led one of the great big bands of jazz employing all-star musicians including Lester Young, Herschel Evans, Freddie Green, Harry "Sweets" Edison and Jimmy Rushing, among others. What I liked about this documentary was the insight provided by the likes of Harry "Sweets" Edison, Jay McShann and Illinois Jacquet - by sharing their personal experience with Count Basie I felt closer to him as a person. I also took away Basie's truly great sense of rhythm and swing - it's easy to listen to people talk about Count Basie being great, but it's completely different to listen deeply to the music and figure out for yourself why he was great. Documentaries are a great way to simultaneously learn history, sit down and relax. Moreover, they help you feel closer to the musicians of the music by realizing the full scope of their lives - from the ups and downs of their careers to learning about their personal lives and hobbies. All in all, documentaries illustrate the humanity behind artists. Since September 2015, I have been the JazzBoston newsletter writer/ editor. Please sign up for the monthly newsletter to learn more about the Boston jazz scene. What is your favorite jazz documentary?